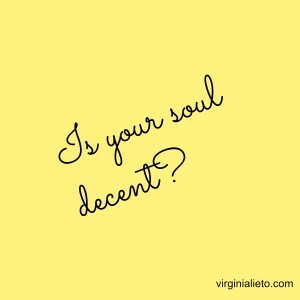 Are You Decent? 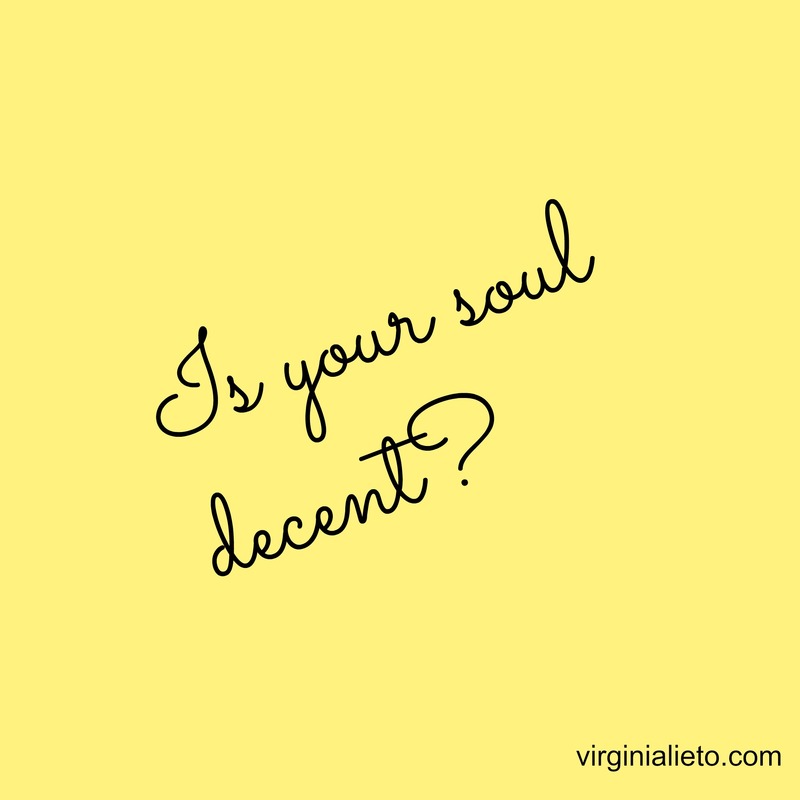 Is Your Soul Decent? When God speaks do you really listen? 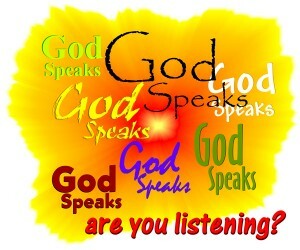 Read more to learn about my struggles with listening for God’s voice and guidance in this noisy and stimulating world. Self-Control: Lacking or Fruitful in Your Life? 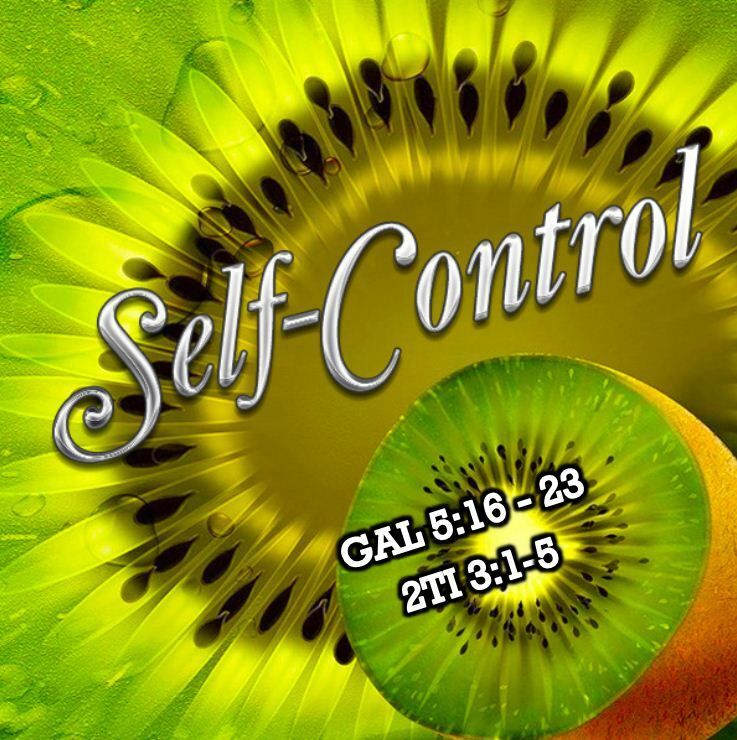 Self-control is a fruit of the Holy Spirit that exhibits its fruitfulness when we maintain a deep abiding relationship with Christ. As we celebrate Easter, and have now completed our Lenten sacrifices, I have to ask: How have you done with your Lenten sacrifice? Were you able to exhibit self-control and maintain your promise to Jesus in thanksgiving for the sacrifice He gave for you? Perhaps you gave something up, or perhaps you pledged to do something for others, or perhaps you elected to practice a specific virtue this Lent. Although Lent is over, you can still live up to your promise, for Jesus always gives us another chance, with each and every day that He gives us to live. How to Be Meek AND Effective! Put others at ease. – Be friendly. Create a vibe where others feel welcome to approach you. Body English speaks volumes! Be mild mannered. – Be docile in your behavior. Keep your emotions on an even keel. Listen and let others speak. – Restrain yourself from cutting in on conversations because you need to be heard. Give others the floor. You just might learn something valuable. 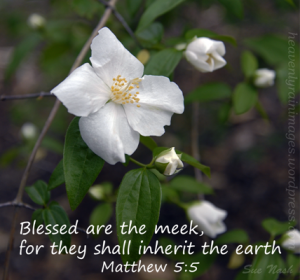 Meekness: Where Does It Get You? Where does it get you? Stomped over? Dismissed? Think again! Have you ever heard the commentary, ‘a good leader listens more than speaks?’ A good leader is docile, putting others at ease by creating surroundings that make it easier for those with diverse thoughts to speak and express opinions that might not otherwise be shared had the leader been domineering and overly assertive. Meekness gets you needed information to make prudent decisions. 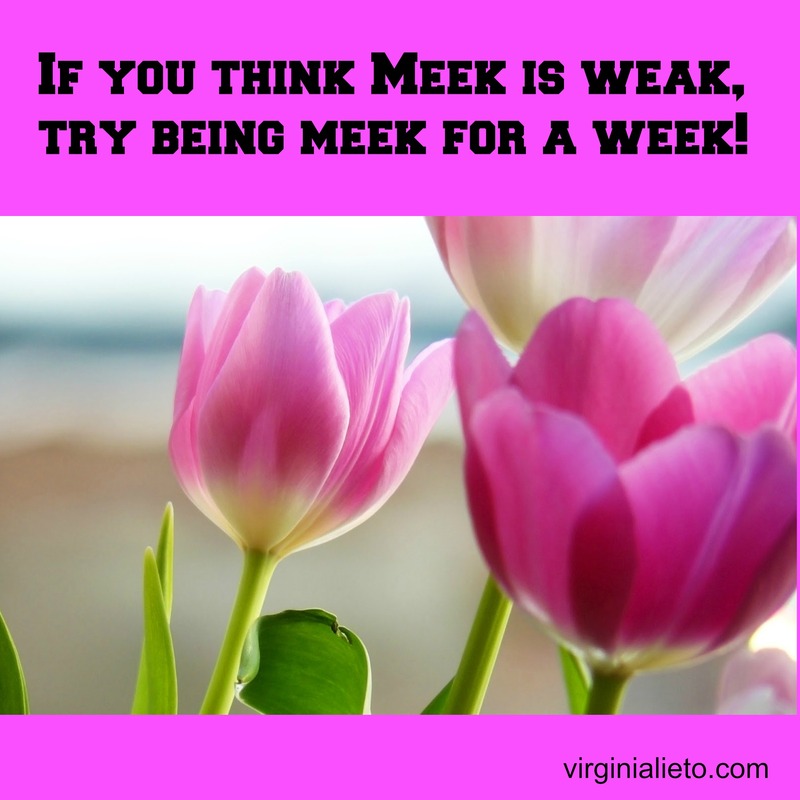 Assertive Vs. Meek: The Winner Is…? It sounds like a boxing match, with assertive highly favored over meek, doesn’t it? Hmmm – This is not always the case. It depends upon the situation. There are times when assertive behavior is appropriate. For example: Speaking up for the unborn gives voice for those who would otherwise not be heard. Being assertive in this instance would be a good thing. 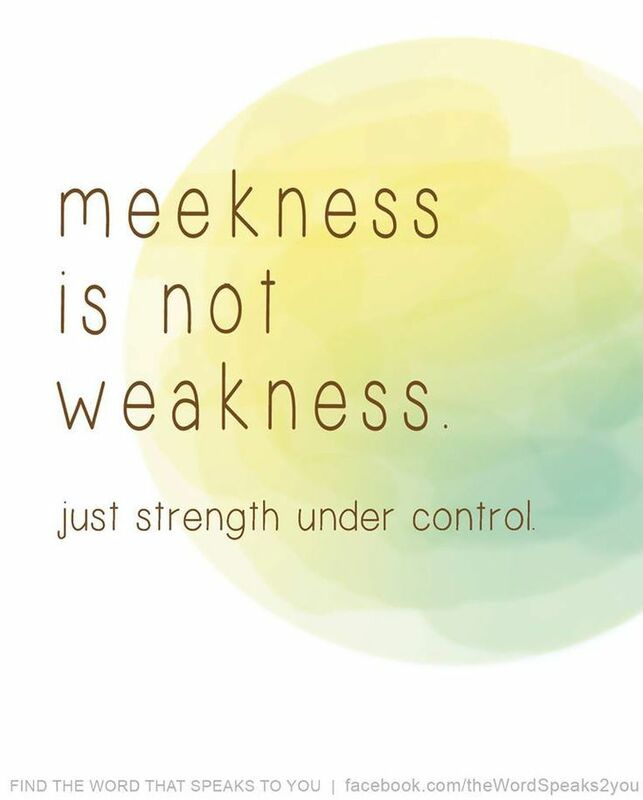 However, there are times when it is best to be meek, rather than assertive. To be assertive actually means one is self-confident, self-assured and firm. 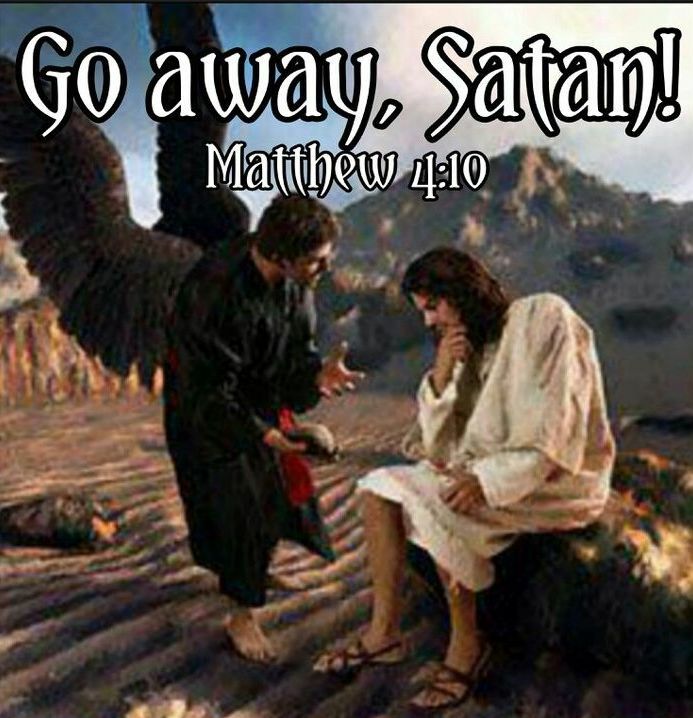 However, the word has taken on a surly meaning when a person uses assertiveness to be forceful, pushy or aggressive. When acting in the former, being assertive is appropriate. 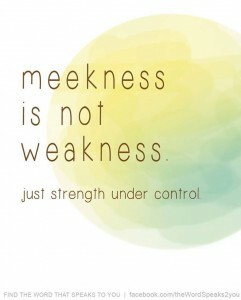 When acting in the latter, meekness would be a better avenue to take. 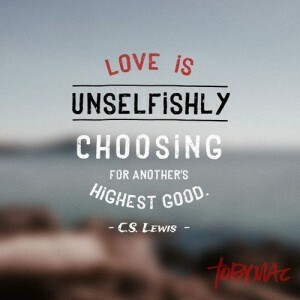 Unselfishly Give to Others: Easy or Hard to Do? 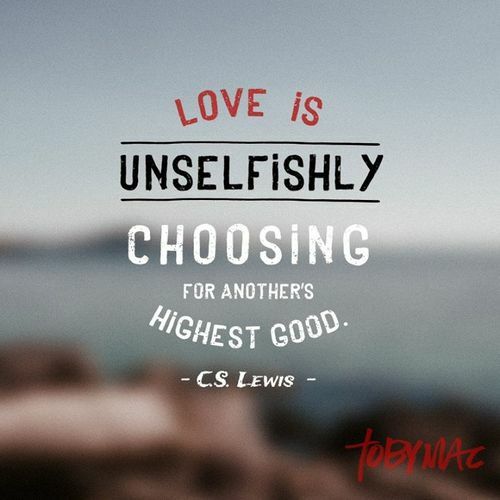 Unselfishly giving to others – Do you find it easy or hard to do? If you are like me, you might find it hard to do, all the time. 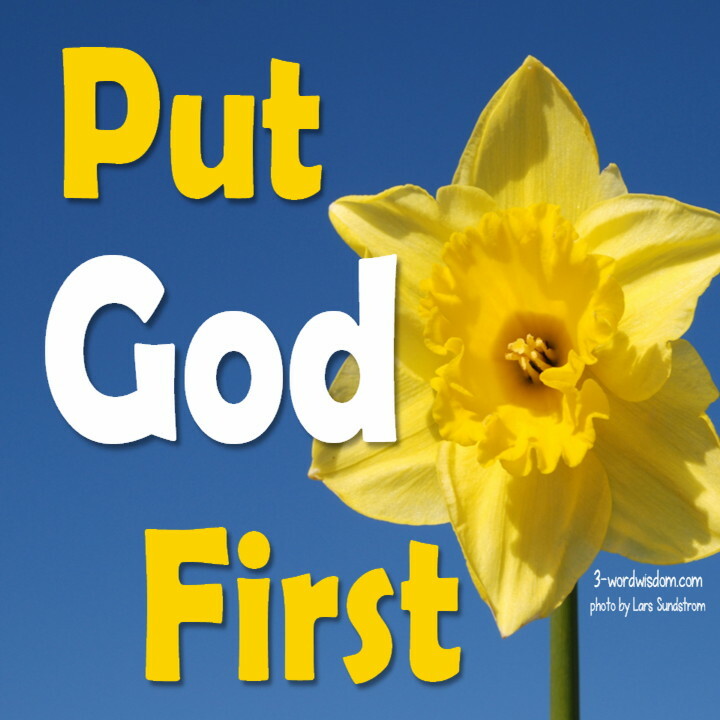 That is because in our society, we are wired to “take care of number 1,” especially in the world of business. We tend to transcend that thought process into our personal lives. How contrary this thought process is to how Christ would like for us to behave as Christians! Christ’s message was clear. When He taught us to pray the Our Father, he taught us to say, “Thy will be done, on earth, as it is in Heaven.” Every time we say the Our Father, we are surrendering our will to the Father by aligning our will with that of the Father. Have you ever looked at the words of the Our Father in this way? 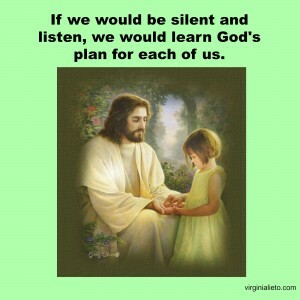 Do we really mean what we say when we pray the Our Father? God reads the heart. He knows the truth. If we mean what we say, then acting unselfishly should come easy to us. However, if we have reservations about completely submitting to the will of the Father, then acting unselfishly might not be that easy for us. For many of us it is difficult to let go and let God’s will be done.